The first time I tried to do-it-yourself skincare was in middle school with my lovely friend Nina. We ripped a couple recipes from teen magazines and dove in. I distinctly remember the recipes involving a lot of oatmeal, oh so much oatmeal. Possibly avocado and mayonnaise. Suffice it to say we had a lot of fun, made a big mess, but didn’t see great results. It’s true, I haven’t revisited those original spa-day recipes, but possibly it’s because I haven’t been able to get an avocado on my face or hair without “accidentally” shoving it all in my mouth. Mmmmm. 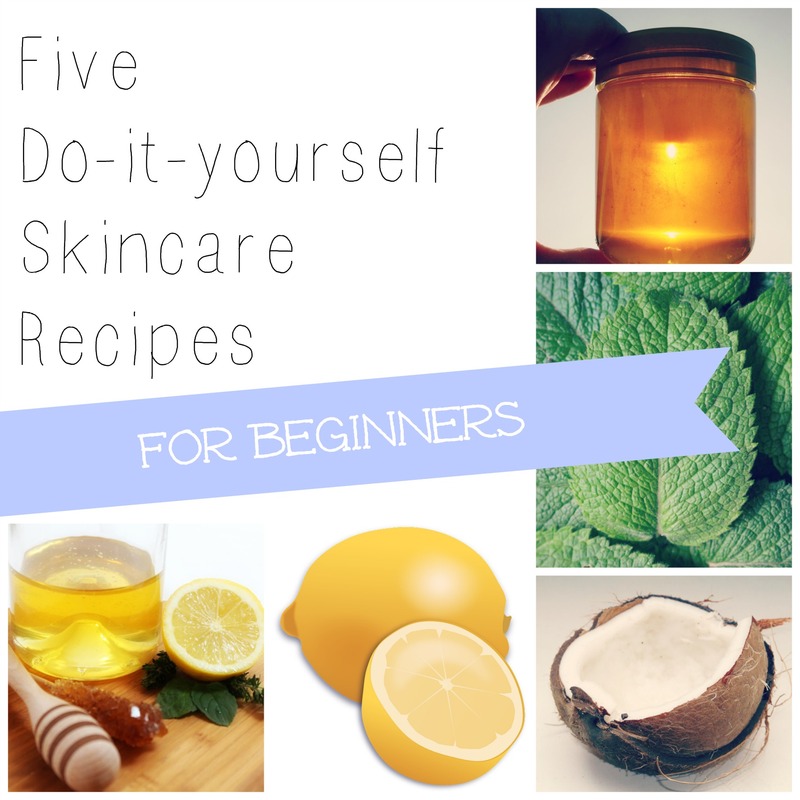 Ideas for skincare treatments abound on YouTube, Pinterest, and flying out of your friends mouths. Flash backs to that original day of “spa” treatments has me pretty skittish when it comes to at-home (“right from your kitchen cabinets!”) recipes. However, I’ve slowly faced my fears with simple uses for ingredients you may already have in your kitchen. These are my tried-(and tried and tried)-and-true “recipes” over here at Meredith Tested. They aren’t complicated, cuz ain’t nobody got time for that. I’ve used whole lemons before but I find the whole process is a bit messier and I’m not a fan of lemon pulp ending up in my hair and/or eyebrows. True story: One time I didn’t realize a piece of lemon pulp was stuck in my eyebrow and after a not-very-thorough rinsing of my face, I found it dried up there later. It was a fun little discovery… not. I owe this recipe to the lovely Kandee J of YouTube and general interwebz fame. An important step I learned from Miss KJ is to rinse your face with warm water before starting the scrub. When I skip that step I don’t feel like I’m quite getting the full benefits. 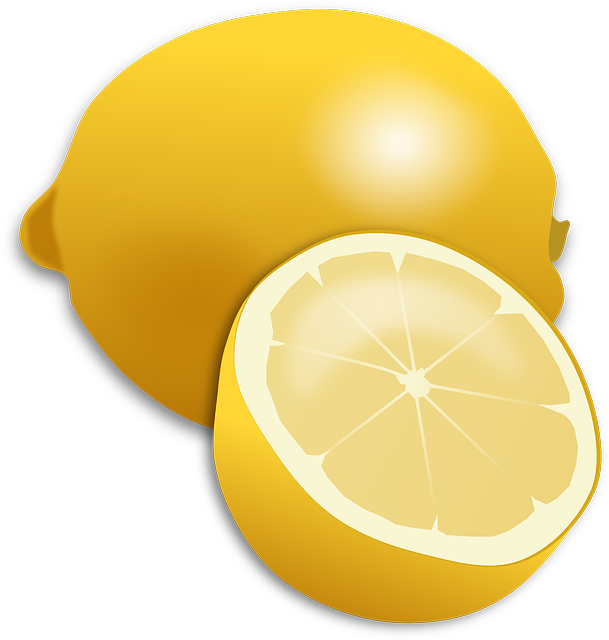 Lemons can cause skin sensitivity in some people so test it out on a patch of skin (perhaps right below your jaw line, near your ear) first. Also, make sure you wear sunscreen in the 24 hours after you use this scrub since your skin may be more sensitive to light. But you’re already wearing sunscreen on your face every day, right? Right?! I haven’t done scientific testing of this treatment but I feel like it works. I’m pretty certain it shortens the life of my blemishes. If anything, it doesn’t aggravate the area at all, which a lot of spot treatments do. I tend to get impatient with spots and am tempted to squeeze (I know, I know, grosssss) so I like taking action in an all-natural way with this remedy. Dab a bit of honey (local & raw is best) on top of your blemish after you’ve washed your face and applied a light moisturizer. I use a cotton swab to carefully transfer a small amount of honey from the jar to my face. 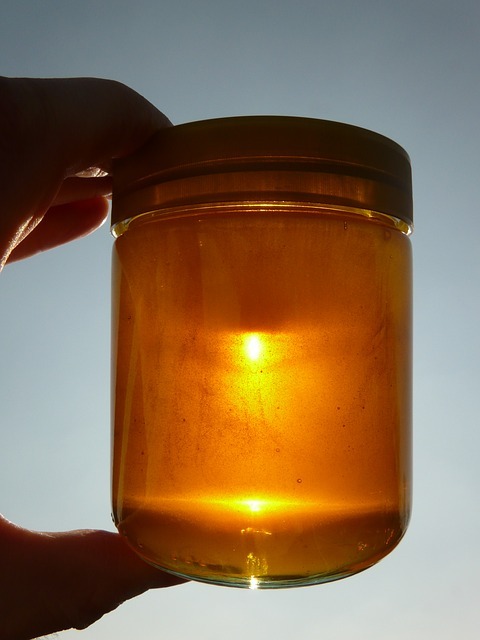 Some people keep a little container of honey in their bathroom to keep it separate from the honey in their kitchen. Leave on overnight to help kill bacteria. The hardest part for me is not getting honey all over my hands/face/pillowcase. If you’re worried about honey-pillow, place a light towel or an old pillowcase on your pillow the night you use this treatment. Some people also recommend putting a band-aid over the honey spot so it doesn’t rub off. Yep, I’ve jumped on this bandwagon. It’s probably the best-smelling and moisturizing bandwagon ever. 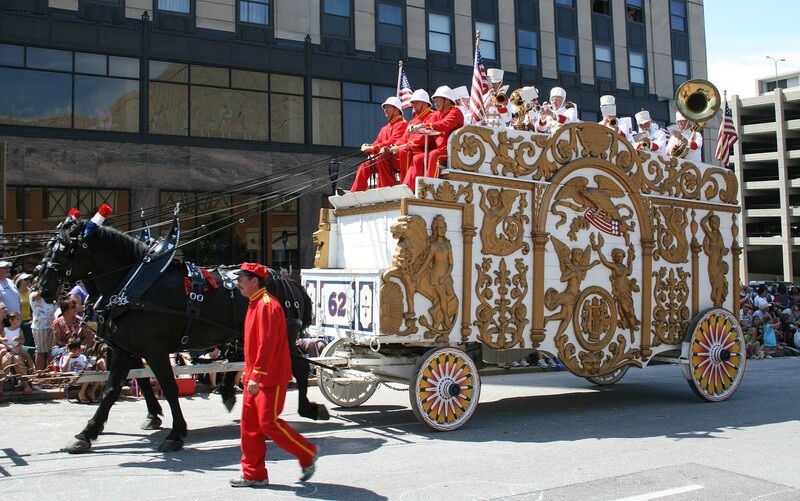 Even better than this awesome actual bandwagon, pictured here – its a wagon that a band/musicians use. I’ll be honest – I use it more for cooking (cooking! all the things! in coconut oil!) but I also slather it on the backs of my hands, my cuticles, remove eye makeup with it (on a cotton pad) and apply to the ends of my wet hair (after warming it up in my fingers.) Olive oil and Avocado oil can also do these things in a pinch, but I prefer the scent and texture of Coconut Oil. p.s. In case you’re curious, I buy my Coconut Oil at Costco. It’s the best price I’ve found by far. 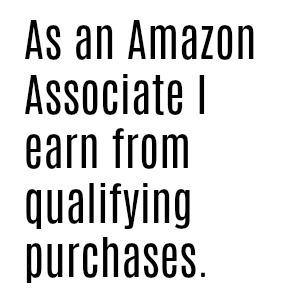 I know other people swear by Trader Joe’s and Vitacost-like sites, too. Skincare Recipe #4 – Keep Yo Teeth Clean! Perhaps this isn’t exactly skincare but it’s one I use a lot so I wanted to share. I know there are lots of recipes circulating about DIY whitening toothpastes and treatment but I find a quick gargle with the cheap-o 3% peroxide you can get at any drug store works wonders. I pour a small amount (1-2 tablespoons) in a little cup and gargle for 30 seconds. Because the stuff doesn’t taste great, I usually follow with a quick swish of mouthwash or water. There is a lot of research out there suggesting that hydrogen peroxide can elongate healing, so you may want to ask your doctor or dentist before gargling if you have any sores or tender gums. However, I’ve never had any issues. Bonus – you can use hydrogen peroxide to disinfect your toothbrush after you’ve been sick … or just any time. This is an aromatherapy recipe for when you’re feeling stuffed up or run down. After spending some time with this recipe my skin glows and my sinuses feel clear. If you’re stuffed up at all, keep tissues nearby, trust me! Also, this is best done when you have a clean face so your skin can get the full benefits and so you don’t have mascara running down your face when you’re done. Unless you like looking like a raccoon slash Laura Dern in Enlightened. Adjust the essential oil amounts to suit your taste. Some people have more sensitivity to peppermint than others. Grab a large bowl (20″ in diameter should be good) and a bath towel. Add hot (not boiling) water to the bowl plus 6 drops of tea tree oil, 6 drops of eucalyptus oil and 3 drops of peppermint oil. Cover the bowl with the towel and let it sit for 30 seconds to one minute. Then stick your head under the towel and breathe deeply as many times as you want. Play around with the ratios if you want. 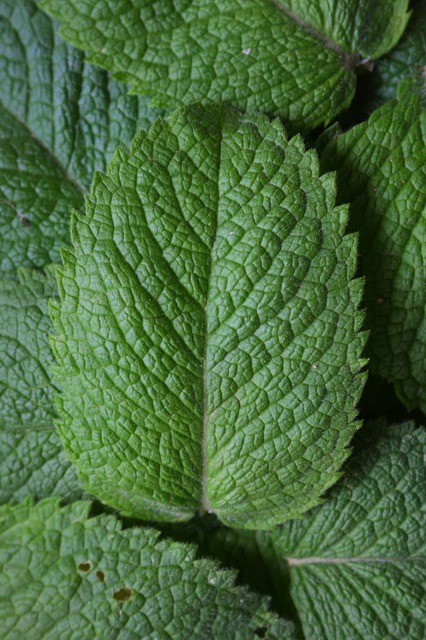 Again, not too much peppermint or you may find stinging eyes to be the main result of your treatment. Not so relaxing. Got DIY beauty fever? (It’s like disco fever, but with less glitter.) There are so gosh darn many do-it-yourself recipes out there you may want to try with a few more steps and perhaps a few more ingredients. Check out some of my fave sources: The Chalkboard Magazine, Pemberly Jones, Organic Beauty Talk, Popsugar, and Wellness Mama. Images sourced from: Real Simple, Wikipedia, HBO, Pixabay. *Hi friends, just a heads up that this post contains scary affiliate links and if you click, a shark will EAT YOU. Just kidding! Clicking my links just means you like my site and like reading my recommendations. Your shopping experience doesn’t change, but I might get a tiny commission. Affiliate links are indicated with an asterisk like this* If you have any questions, I’m here to talk —> meredithtested@gmail.com … or leave a comment below. xoxo. I’ve done the last one! It works!